When I landed on one side of the arena, the sun was setting. I used its bright light and hid in a nearby thicket. I was sure, that no one could see me until the moment, I heard steps. Stomping was noisy and whoever did it, moved without any worries. A few seconds later, a hole stretched in my bush and friendly blond face peered inside. She smiled, when she saw, that I was ready to defend myself. She told me, that we belong to the same team and fight has not started yet. Outside is safe, so we will find and fry a tofu on fire. This is such a cute yellow creature, but on the eve of the deadly fight, you could eat just anything to keep your strength. With full bellies, we fell asleep and woke up to the day, when it all begins. 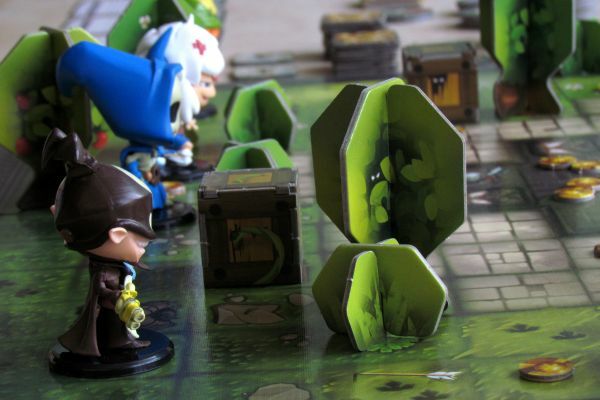 Krosmaster Arena will witness our victory today. And we must win, so Demons of hours and minutes release us from captivity and let us go home. I realized, I say this out loud, when Lil Healey looked at me with her big eyes. You do not believe this, do you?, her look asked. She did not even have to say these words and I knew he was right. 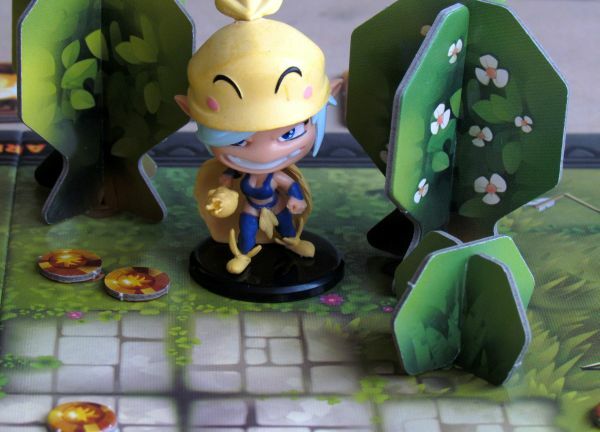 Gong vibrates through the air and he fight begins ..
Before Kickstarter, we could only imagine such things. 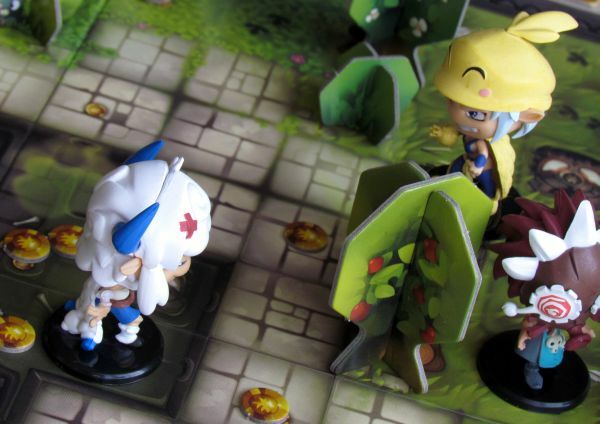 Krosmoz universe full of anime characters transformed into a board game with miniatures. 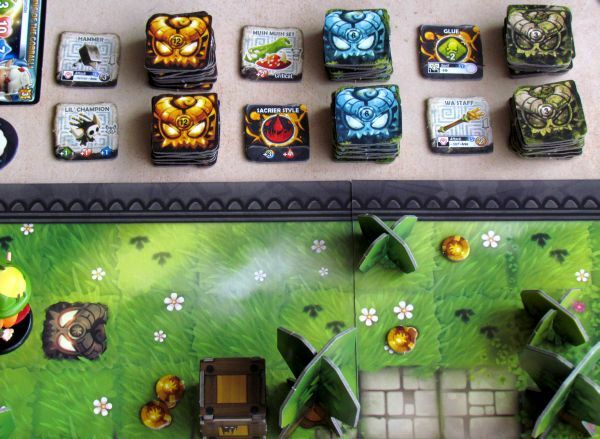 That is Krosmaster Arena, which in March 2013 collected a whopping $ 366.000, ie seven times the fifty thousand required. An enormous satisfaction for English game publisher, company Japanime Games, namely the its authors, Nicolas Degouye and Édouard Guiton. It would all be nothing, if it was not for illustrations of Alexandre Pope. 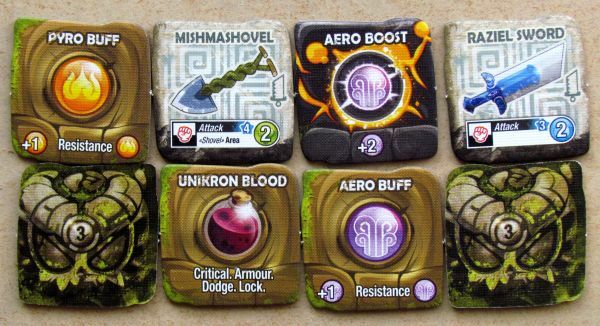 Krosmaster Arena will not give you a chance to breathe and from the first moment, you will be riding on a wave of euphoria. Let’s see, if it can last from opening the box to the end of the first game. And how strong the tsunami is going to be to keep our interest for another match. 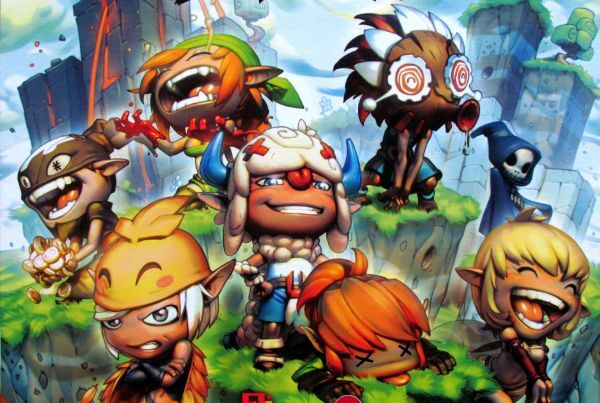 At the beginning, there is a high square box with a really colorful illustrations of all eight main heroes of the game. Under the lid is waiting for us extensive manual with all rules needed, as well as double-sided fold-out game board with grass strewn environment on one side and fiery pit on the other side. All this way to our house have travelled also sheets with punch-out tokens, among which you will discover pieces for tracking injuries or action and movement points. 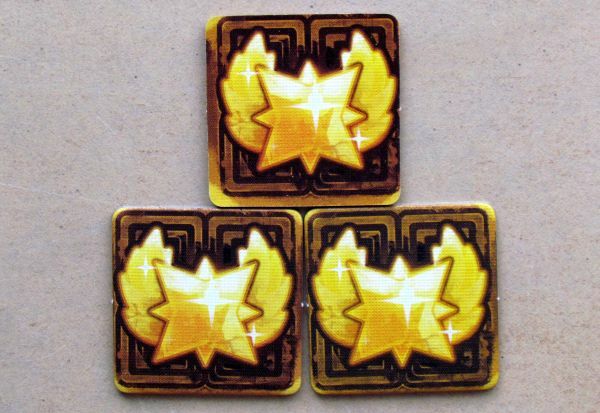 Warriors can also find various improvements in the arena in the form of bonuses. Sweetest price for your effort (and the only way to win) awaits you in there too – so-called GGs (Gallons of Glory). 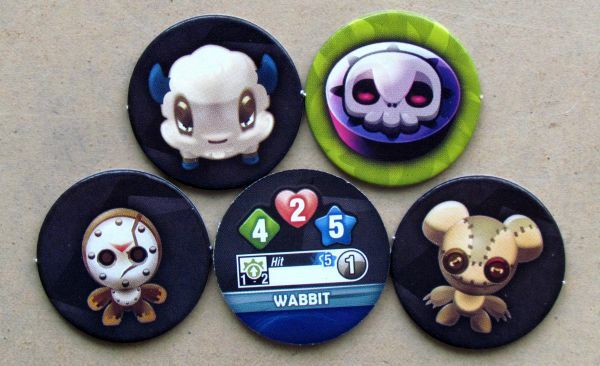 List is completed with tiny kama tokens used as currency and creatures, that will make company to your heroes. 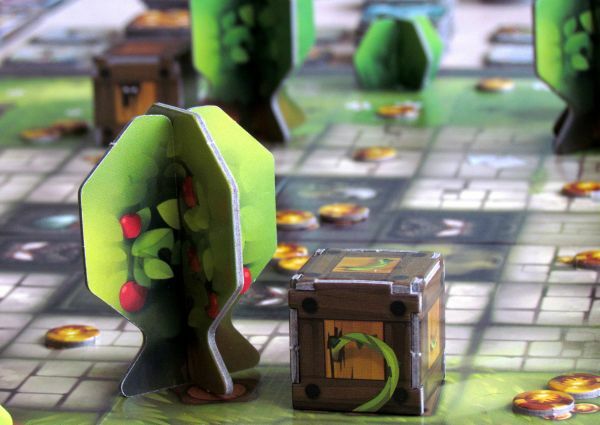 To create an environment for your character, you have to fold and connect cardboard pieces into crates, bushes and trees. But the most important of the whole box is stored securely on the bottom and it’s eight characters molded and painted in elaborated detail. 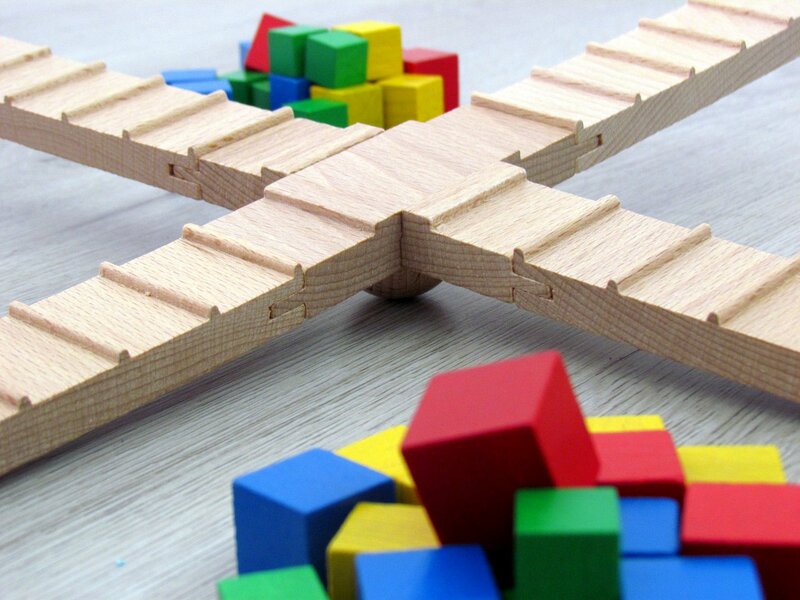 All in one beautiful design with black stand, through which they will move on the game board. Each has one card with a description of his abilities. At the bottom of the box make them company also eight white dice with different inscriptions. Cards are wearing a lot of important informations. There are three basic numbers for movement, actions and life. They are also accompanied by a tiny number in the yellow lightning marking speed and initiative of this particual character. Every hero has several abilities, that can be used in combat. They can be distinguished by their usagee to melee and ranged. 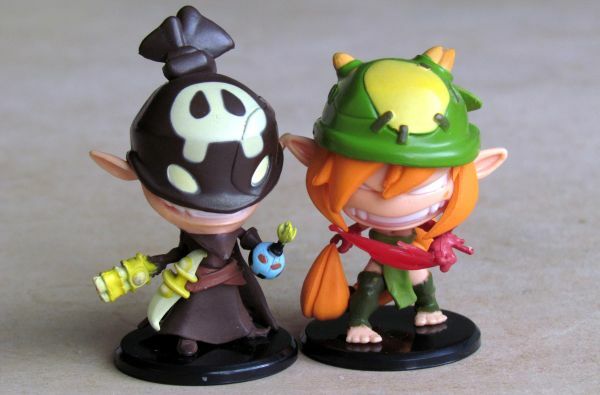 For magical attacks, you will also find distance and a type of damage. Each ability has its limits in frequency of use. 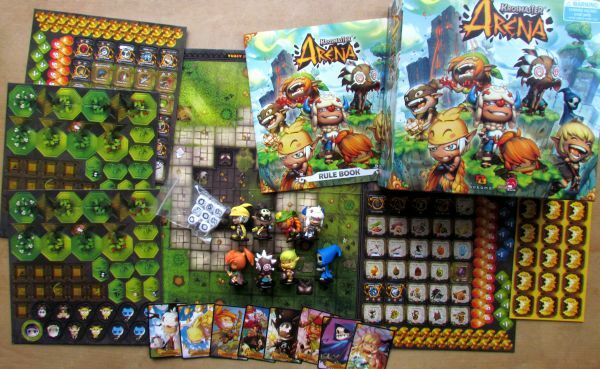 At the start of the game, players put arena between themselves. 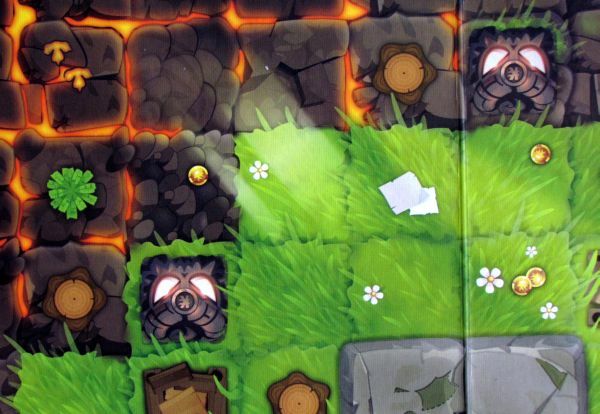 All fields with stumps are covered with trees, bushes are layed on green leaves spots and pictures with a crate are equipped with a real one. There are also with small gold icon indicated positions for initial distribution of tiny kama tokens. 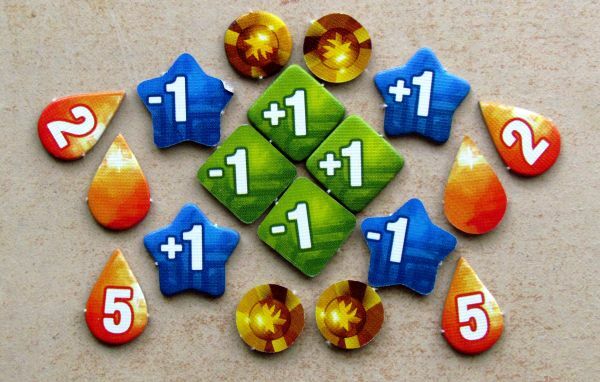 Different prizes of demonic rewards create piles next to the board and will allow you to improve your strength. They come in three different levels (gold, jade and granite), each of them is put in two piles. 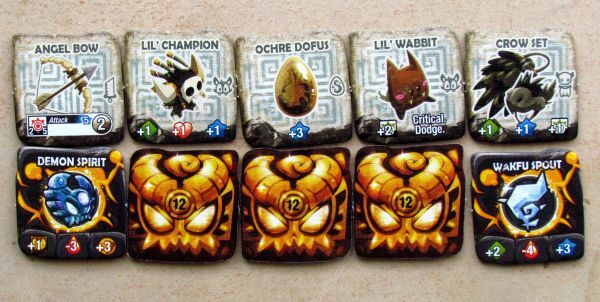 You then simply reveal first tile of each pile, showing you six attributes, you can buy and use later in the game. Players must now split all eight heroes in the arena into teams to compete, each selecting one team and heroes. Its also possible to draw them randomly. Each commander then orders his cards according to initiative number in front of him. 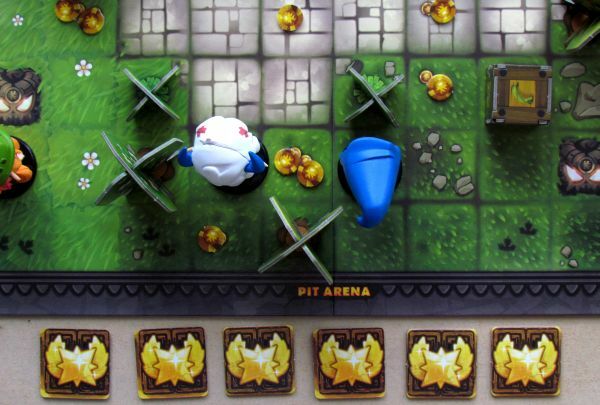 Figures can then be deployed anywhere on his side of the arena on spots, which include printed tracks. For the beginning every player gets six gallons of glory and the fight can begin. Because small krosmasters have their destiny fully in their own hands, demons watching it from above like to interfere (because they love twists). 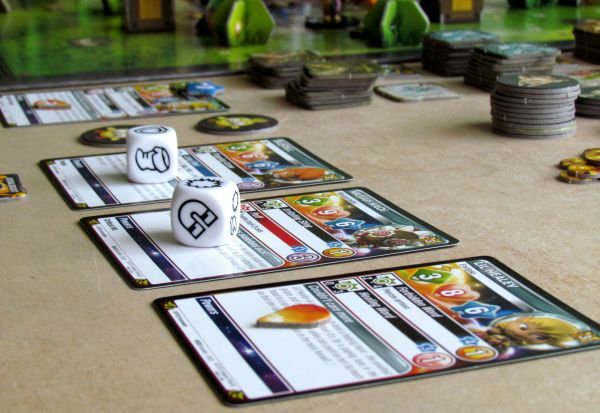 This is reason, why player at the beginning of his turn must roll the dice for tension. 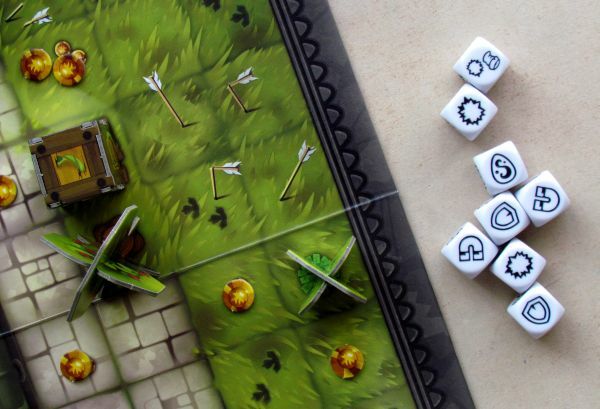 When two identical symbols on the dice are rolled, voltage gets up. At this point, each player must submit one GG and remove it from the game. The inevitable end is constantly approaching. 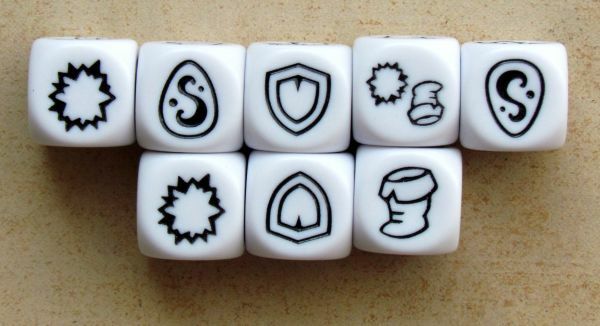 Then player gets a chance to use these symbols rolled on the dice, to temporarily improve abilities of their heroes. 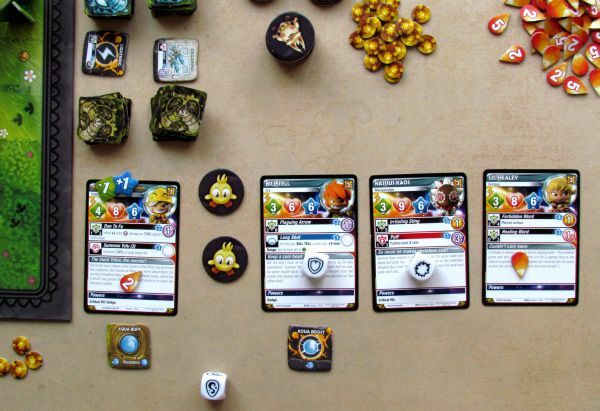 But he may give up these options and instead get kama tokens (one for one unused dice and three if he surrenders both dice without using its effect). Rest of the turn is then carried out exactly as you would expect. 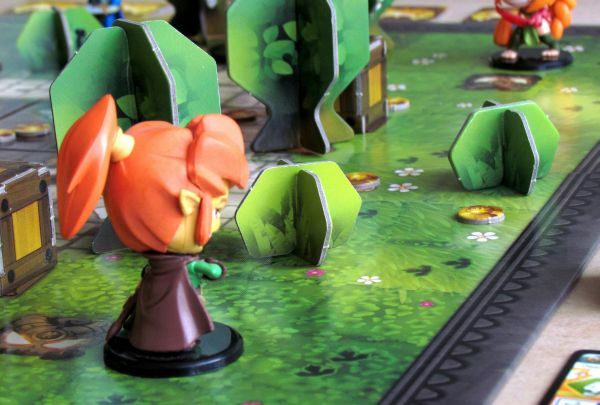 At the beginning and end, all effects bound to the start and end of krosmaster activities are executed. Meanwhile, movement and performing actions await you. Both of these activities are linked to the skills of the individual heroes, who have their unique movement (MP) and action (AP) body. 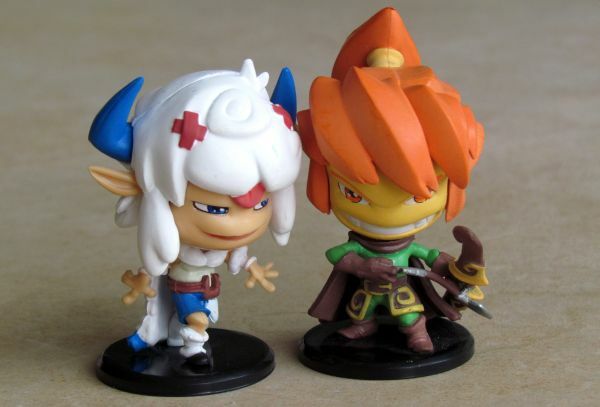 Players with help of his characters can collect kama tokens in the arena and several places allow you to buy demonic rewards. Purchases can also be used to obtain additional gallon of glory. 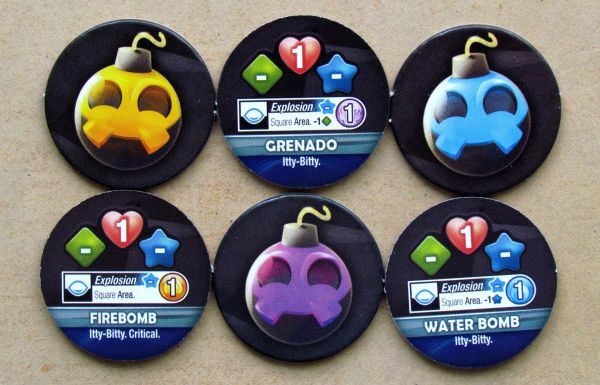 But mostly you get these by defeating other krosmasters. But we are getting a little ahead of ourselves, because we had not yet told you, how to attack. Before that, we still need to move. Every step you go costs you one point of movement. In addition, as you walk along adversaries, they can try to thwart and stop you. Then you have no choice, but to challenge him (or her) by force. You can fight up close for five action points and punch opponent in his face. More important, however, are spells, shot from a distance. These magical skills, however, differ for each character and type in range, power, but also cost of the spell. 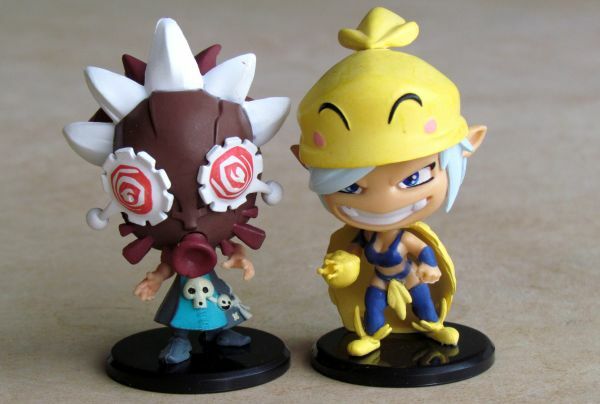 Each Krosmaster has his number of magical points available for this. Some spells are even tied to various elements, against which your opponents may be immune, so beware! When you decide to use magic first choose the target (even your character, because it can be for example a healing spell). 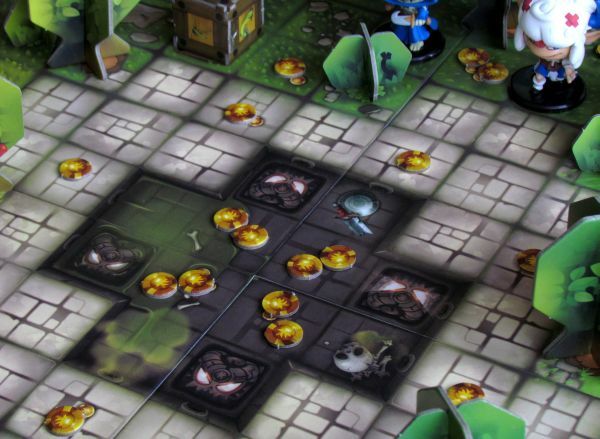 Its effect is basically fixed and players can only modify it a little with help of dice – attacker tries to do critical hits, while defender reduces injury with help of shield. Spells may not be only offensive, you can also summon a helper and sometimes you need not only action to succeed, but also movement points. Small krosmasters hurt each other slowly, lowering their life energy to zero. Any such knockouted miniature is excluded entirely from the game and brings an attacker as many gallons of glory as was its level. 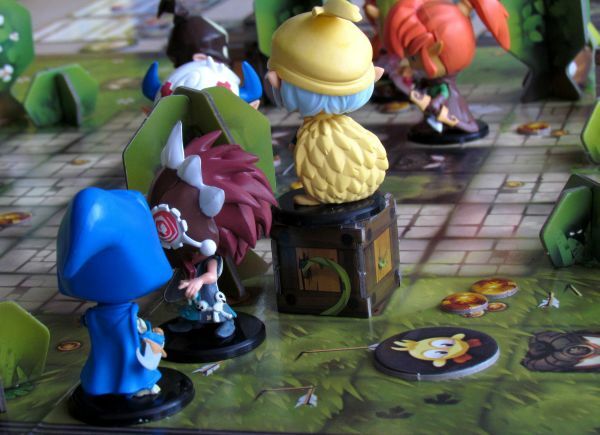 Players first take gallons from common stock, when they are available, but later directly from their opponents. Aim of the game is to remain the sole commander, whose team is in possession of all gallons of glory. 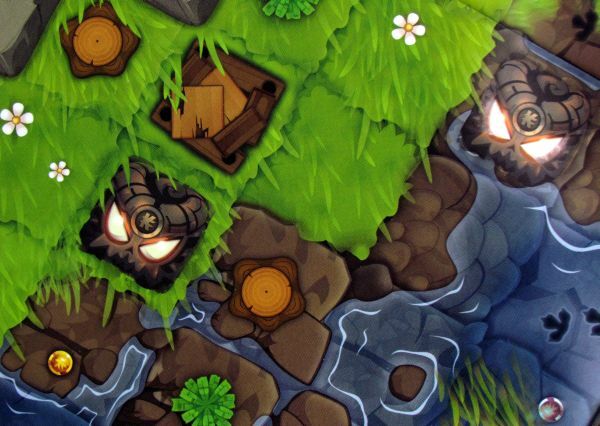 Krosmaster Arena is a beautiful fighting game, that does not offer only a beautiful appearance. It gets points also in successful principles. Game has a multi-layered experience thanks to enough options and although both arenas are similar, due to the size of your team, game always develops in a different direction. Players are not only battling inside the arena with their given powers, but have option to purchase demonic rewards improve their wards. It is also one of the most popular features in the game, because everyone is constantly trying to be better than others and at the same time upgrades make also another significant differences between games. 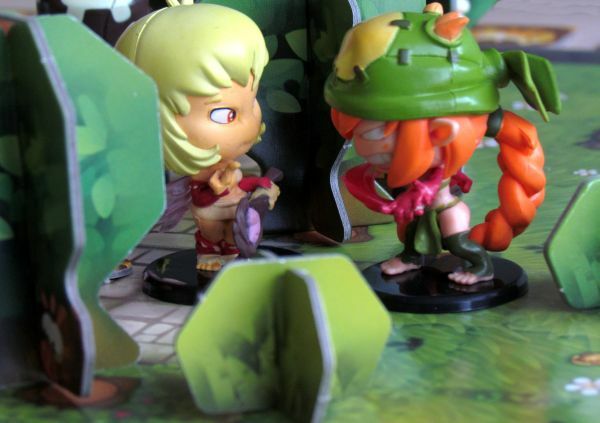 The rules are very detailed and contain a lot of little details, that you need to follow. 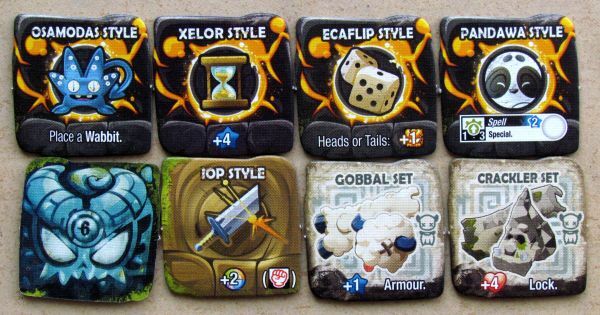 However, the actual manual offers seven learning scenarios of varying (rising) difficulty. 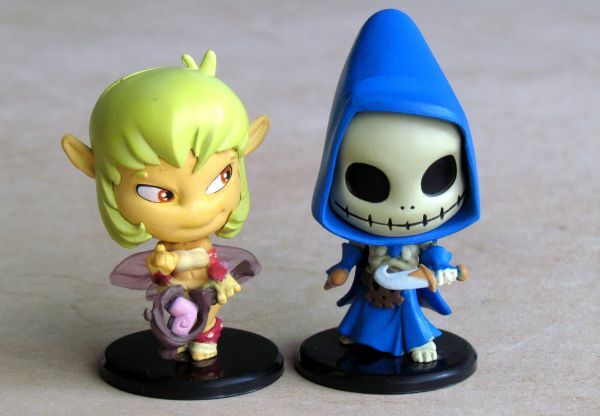 These can be easily used as a guide, if you would like to bring smaller kids into play. Basic options can certainly be mastered around eighth year and we believe, that once you show them the game, is difficult to get them away of it. 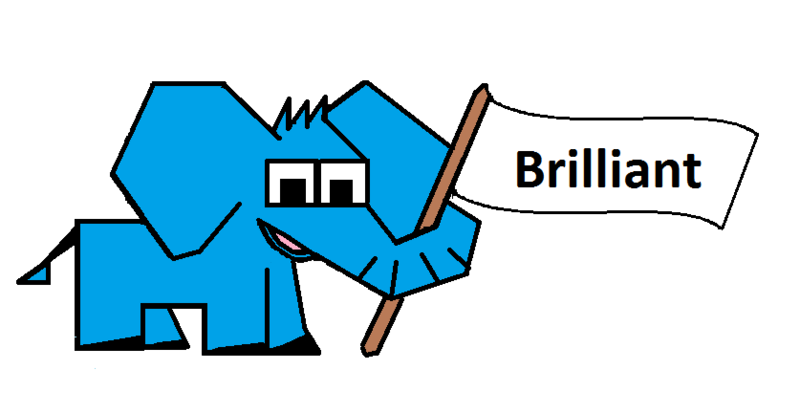 Its very imporatnt to think further, than just one round. You must have a plan. You constantly have to also think about positioning, hiding behind obstacles, where your opponent could not shoot you. 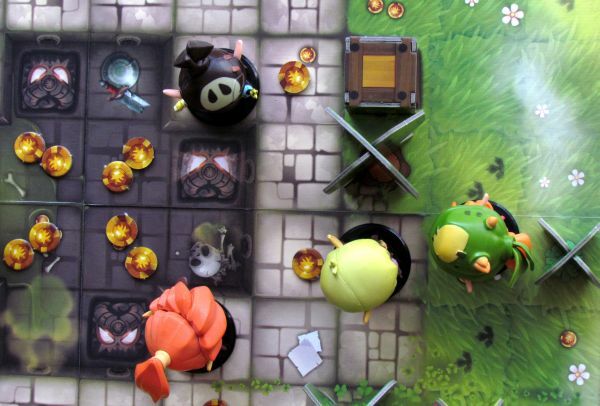 Here it is very important, that the game has all the really physical obstacles and you can clearly see the situation on the board at first glance. Amount of spells and benefit tokens is nice. And because each character can have as number improvements equal to its level, the game is amazing number of ways to upgrade your hero. It offers constantly new experiences and challenges not only in the form of straight victory, but you will be still attracted back into the game with a chance to do something differently. And it does not really matter, if you are an advanced player or not. Just do not be discouraged by length of rules, which is caused by the teaching scenarios. 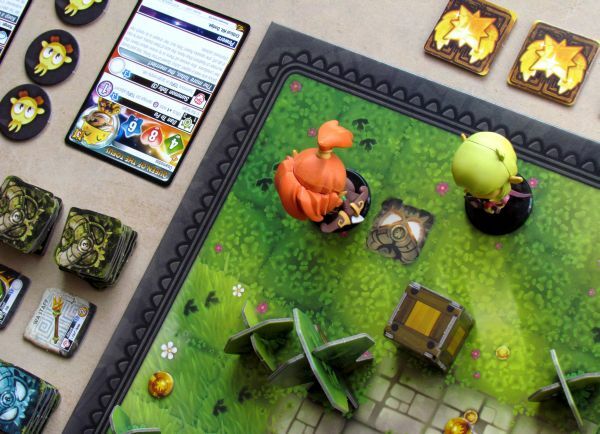 Krosmaster Arena can be tought by complete beginners (with knowledge of English). 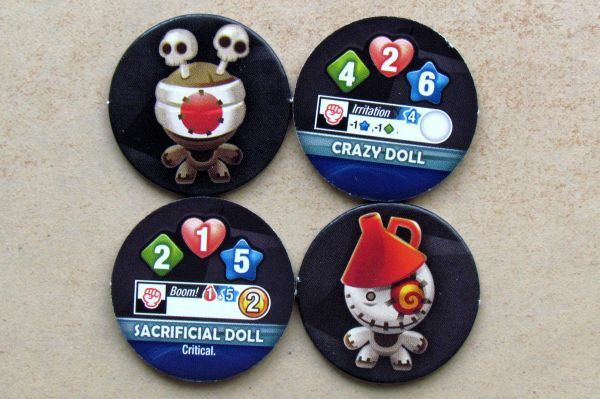 Although they are dice used in the game, they are helping you only marginally. In combat, skills and decisions remain the most important and hits are not decided by coincidence, but with tactics. You must use the correct spell. Melee attacks are in here more like a supplement, because they are expensive and you will usually prefer to utilize some magic, unless of course your figure has some interesting melee attack. Individual turns are a little longer. At that moment, unfortunately, the other player sits idle. With two rivals, this is not such a major issue, but if you would like to compete in four, you could wait unnecessarily long, because delays are associated with thinking players. Total duration of the game therefore is different from combat to combat, but mostly is close to one hour (with two players only). 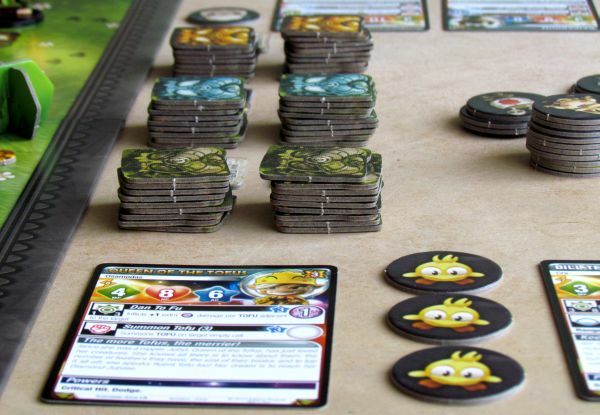 As the only significant disadvantage of Krosmaster Arena can be mentioned, that you can not play evenly in three. 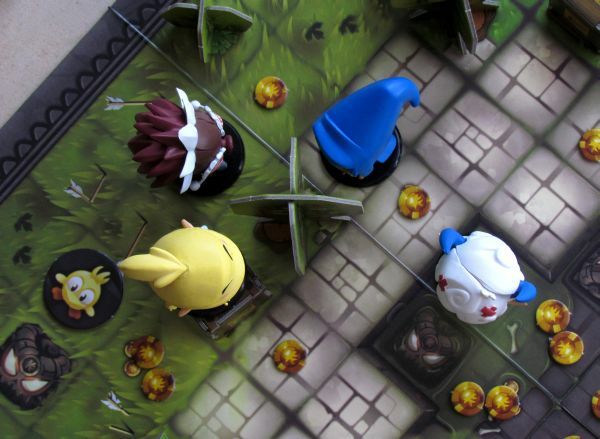 One of the players would have a disadvantage, because he would be surrounded by enemies from both sides. 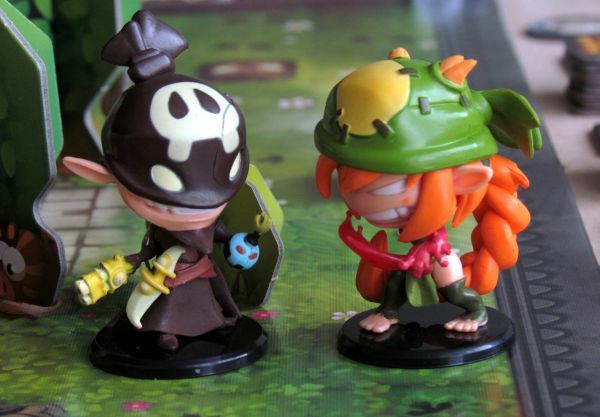 However, to remedy this, the game offers a team game and rivalry in four. 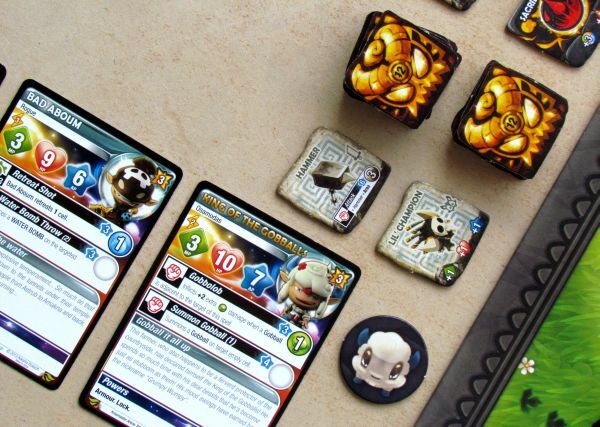 From our impression, Krosmaster Arena still works best as a duel and not just because waiting, but also better control over the development of battle. What will be most interested turning point in the acquisition game, it its processing. 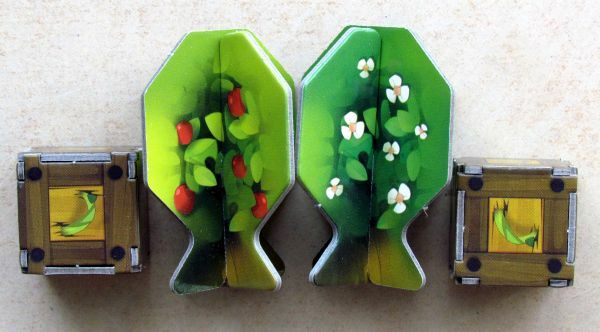 Beautiful pieces could easily grace the shelves of some miniature collectors. They are detailed in a mixed way between classical and Japanese anime illustrations. 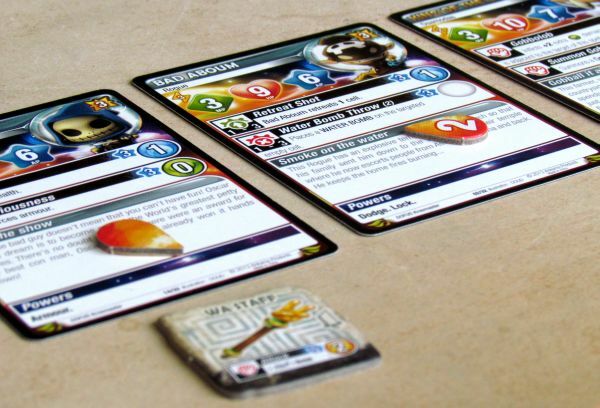 Their appearance perfectly matches image on the card and actual layout of the game already guarantees great experience. The complaint can thus be pointed perhaps only towards collector concept of the game, which offers stunning expansion packs with characters, which probably you will not resist. And the game becomes more expensive entertainment, than it already is. 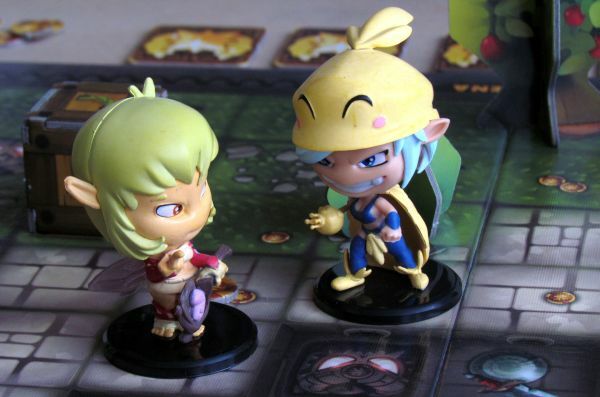 Krosmaster Arena is a wonderful way to confront in an arena with two players, filled with surprises and magic. 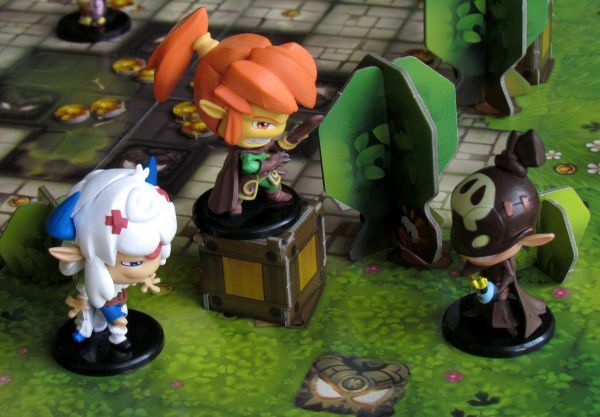 With four characters on each side of the battle, it offers plenty of tactical options for players to deal with. It is one of the best looking and at the same time excellently playable games, you can buy for your money. We can not imagine any opponent, who refuses a challenge to a duel in this game. 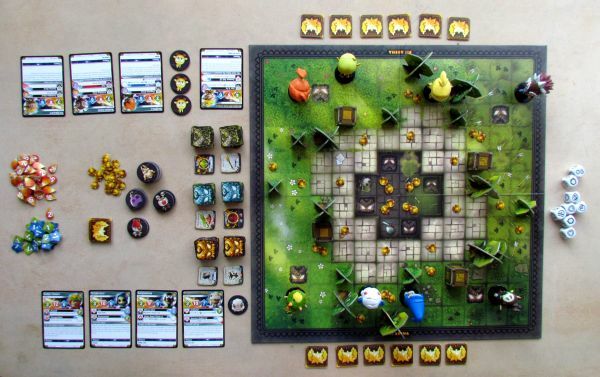 Krosmaster Arena offers amazing journey into a Krosmoz universe, inhated by some really incredible beings. The center of the whole known world is Arena of Gods. 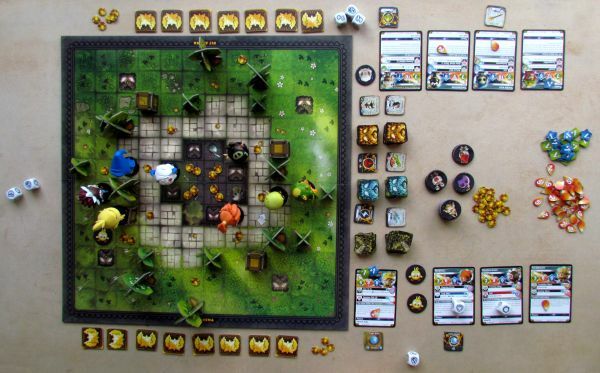 There are teams of krosmasters skirmishing in a ruthless magical combat. You will lead a quarternion of characters to victory in a tense match. Dice bring only a little element of luck, but whole match is truly tactical and rules are thought-out to the last detail. 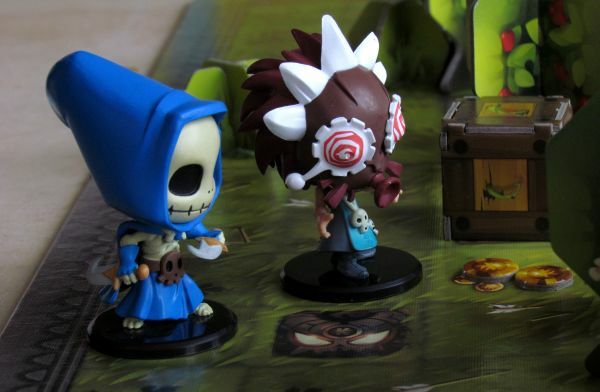 You will enjoy exploring new options to defeat your enemies and exploit attractive look of the entire game, including amazingly detailed painted miniatures. Players are alternating in turns, which take quite a long time to complete. The waiting player has to be a little patient. The biggest issue is unability to play a deathmatch with three players, at least as far as basic arenas and rules go (there is an variant for it found online). But game compensates it in experience from duel and also clash of four opponents, both including great atmosphere of the whole game. Thanks to tutorials, you can play the game with younger, than recommended twelve years children, with simplified ruleset. 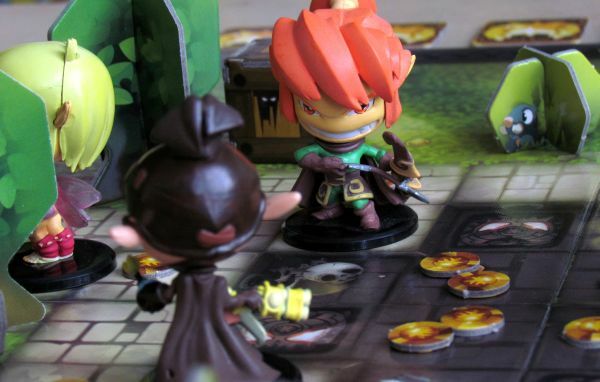 Krosmaster Arena is a beautiful journey to fantasy world, which you should definitely take.